Fresh ginger is typically sold in its raw, root form by the pound at grocery stores. 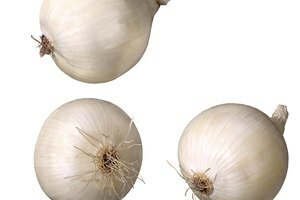 Recipes calling for this sharp, tangy spice usually specify whether fresh or powdered ginger should be used. 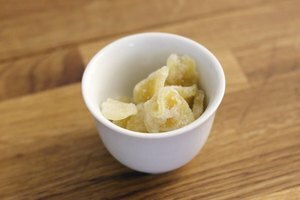 Fresh ginger will always deliver richer flavor than its powdered counterpart, although a little fresh ginger goes a long way. This is why it is important to measure ginger correctly so the resulting foods will deliver the sharp, refreshing taste of ginger, rather than an overpowering zap that will make eyes bulge. Ginger root is also expensive, so careful measurements prevent waste. 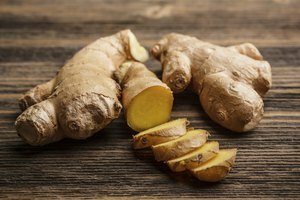 Check the recipe for the required quantity of fresh ginger before buying the root, bearing in mind the recipe will require peeled weight. Fresh ginger is expensive and will be at its peak for perhaps a week at room temperature or a month if wrapped and stored in the refrigerator, so it is cost-effective to buy no more ginger than necessary unless it will be frozen. Cut away the thick, brown peel from a piece of ginger root, taking care to slice away only the peel and as little of the bright, yellow ginger as possible. Weigh the peeled ginger on a food scale before grating or mincing to determine the correct measurement for the recipe. 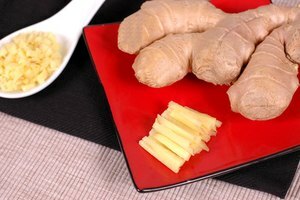 Substitute fresh ginger if dried ginger is unavailable at a ratio of six to one. 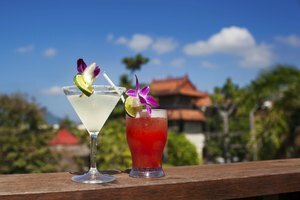 If a recipe calls for one teaspoon of dried ginger, use six teaspoons of fresh, minced ginger.